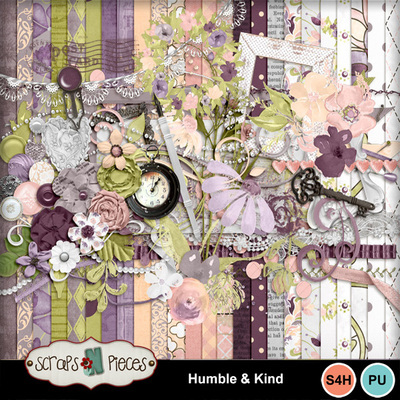 Humble & Kind is a delicate pastel kit, perfect for scrapping the sweetest stories. 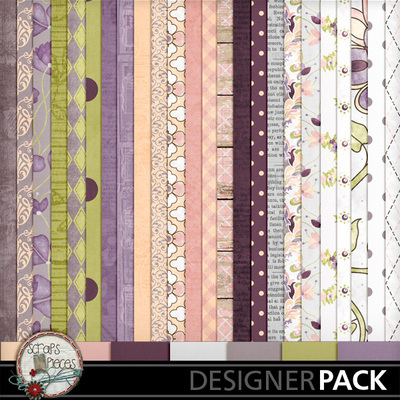 Pale pink, peach, and lavender play nicely with a bold burgundy, springy green, and nice neutrals. Lace and floral motifs abound, intertwined with timeless motifs like skeleton keys and pearls. A handwritten alpha pairs perfectly with a bleached wood alpha for titles that don't steal the show from your photos. Humble & Kind truly lives up to its name, allowing your photos and stories the spotlight they deserve. Other featured elements include a weathered picture frame, pocket watch, fountain pen, and so many ribbons and bows. Scrap the stories that make your heart sing with Humble & Kind.